Are you robot? Tick checkbox if not. Average activity, no suspicious likes or comment. AQS in this widget is approximate, please see full report for an accurate value. If you search the internet, you will see many references to buying Instagram followers. Beware – it is not the way to build your Instagram following. Bought followers are unlikely to be engaged, useful followers. Indeed, quite often, bought followers aren’t human at all. They’re merely bots, masquerading as real people. There is little point collecting followers for the sake of it. You only want followers who engage with your posts. At the very least, you want them to look at what you post. You preferably want them to comment on or share your pictures and videos. Of course, your followers are not going to engage with each of your posts. Indeed the Instagram algorithm will only show your posts to a percentage of your followers, depending on how positively they rate your post. However, the size of your Instagram account has a huge impact on your engagement rates. The more followers you have, the lower your engagement rate is likely to be – even if you target quality followers. 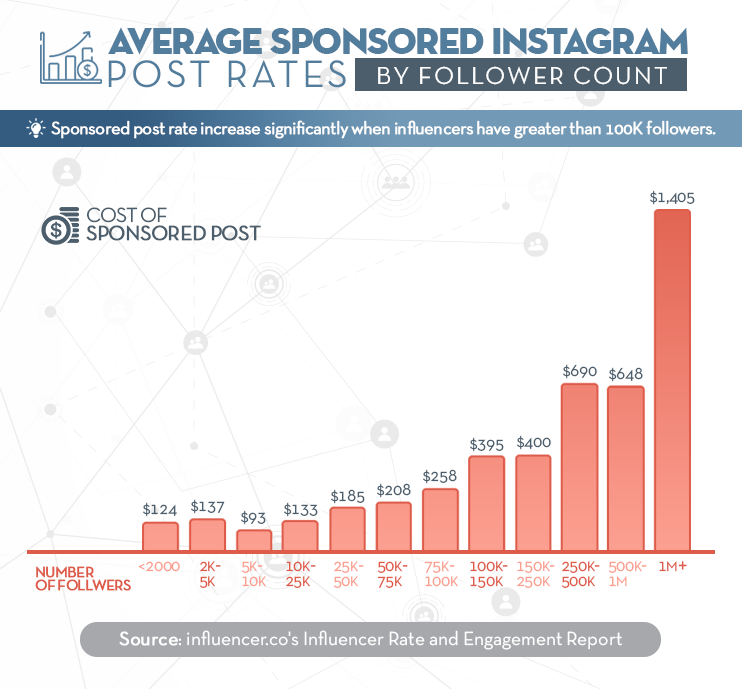 According to 2017 data from influence.co, influencers with fewer than 2,000 followers averaged 10.7% engagement. The next grouping, 2,000 to 5,000 followers, averaged 6.0%. Engagement rates continued to fall, with each band of follower numbers, until reaching 2.4% for accounts with between 150,000 and 250,000 followers. There is a small blip from 250,000 to 500,000, with engagement rising up to 2.9% until it started to fall again. Engagement eventually plateaued on 1.5% for those with more than one million followers. You need to ensure that you search for the right followers for your Instagram account. We have previously looked at quite a few tools you can use to assist you in finding suitable followers. 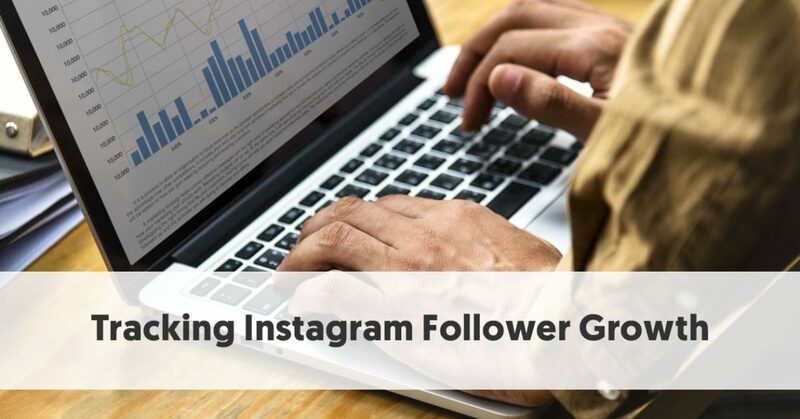 You can use some of these in tandem with our Instagram Follower Growth Tracker to manage your Instagram account carefully. However, there is only so much you can do using these tools. Ultimately, you are going to want to select the best possible followers for your account – people who will take a genuine interest in the types of posts you make. It’s essential to connect with the right people on Instagram if you’re to have high engagement rates. The best way to gain quality followers who will help you meet your goals is to operate your account normally. This means that you need to follow all the good practices of running an Instagram account – in precisely the same way that influencers do. You need to post consistently and give people a reason to want to follow you. While Instagram’s algorithm means your followers are unlikely to see all of your posts, the more you post, the more posts Instagram will serve to your followers. This, of course, assumes that you make valuable posts and don’t just spam your followers in an attempt to game the system. One of Instagram’s biggest drawcards can also be its downfall. Instagram is visual, which means that you need to have high quality, enticing images to post. Therefore, you need to build up a bank of pictures, so that you have material to post when you are not in a position to be taking new photographs. Take interesting and relevant photographs whenever you have an opportunity. Moreover, while you are at it, take additional pictures. You can use them for future posts when you are running short of fresh material. Take any opportunities that occur whenever you find yourself in a photographic situation so you can create images to share with your followers. Have your camera (or phone) at the ready for any opportunistic shot (or Story idea). Even if you struggle to take original photographs, use a tool like Canva to create graphics you can share with your followers. People like to see variety as they flick through their Instagram feed. You will gain more attention that is genuine if you vary the types of posts you make. This includes using other Instagram features, such as Instagram Stories, Instagram Live, and IGTV. Although your Instagram Stories will disappear after 24 hours, you could pin your best ones to the top of your feed, as Stories Highlights. The most important thing is that you don’t solely make posts trying to sell your products. If you are a business, your posts should reflect your brand’s personality. Show behind the scenes of your brand. On your personal account, take the opportunity to build your personal brand, and highlight your personality. Upload a range of images and videos; although only make sure that every post is of high quality. Many of the scheduling platforms help you to post at the best times for your audience. CoSchedule has collated data from a variety of surveys and determined the best posting times for each social media network. They discovered the best posting times for a B2C business are 8 am, 1 pm, and 9 pm. Times vary for B2B companies - 12 pm-1 pm, 5 pm-6 pm, 8 pm-9 pm. Friday appears to be the day Instagrammers are most active. Of course, this is merely an average (and doesn’t cover non-businesses at all). Ultimately, you need to experiment to determine the best times for your audience. You could use a scheduling tool to help you ensure that you make posts at suitable times each week. We covered 20 such tools in our recent Ultimate Guide to the Best Social Media Management Tools (although not all of these tools work with Instagram). We have looked at the problem of fake followers before, including 8 Reasons You Shouldn’t Buy Instagram Followers. Don’t underestimate this issue. In our recent Influencer Marketing 2019: Benchmark Report, we discovered that 64% of the marketers we surveyed deemed influencer fraud to be a big concern. As we said earlier, don’t be tempted by the ads offering to sell you Instagram follows or likes. They won’t give you any long-term benefit and may harm your account’s standing. If you have concerns about having fake followers, you can use our Fake Follower & Audience Credibility Checker to determine whether you have a problem or not. Combine this with our new Instagram Follower Growth Tracker to improve the quality of your followers. It can be challenging to keep track of your followers. You will consistently have a cleaner, better account if you regularly engage in Instagram follower growth tracking. The Influencer Marketing Hub has now released its own Instagram Follower Growth Tracker, to help you keep track of your followers. It shows you your total follower numbers, engagement rate (which it grades), and your likes-comment ratio. It also graphically depicts your follower growth over the last four weeks (or such other period you set). Ideally, you want to see a graph showing a reasonably consistent growth pattern over time, although you may have bursts whenever you carried out influencer or social media campaigns. All you have to do is enter your @handle to map out your Instagram account growth.